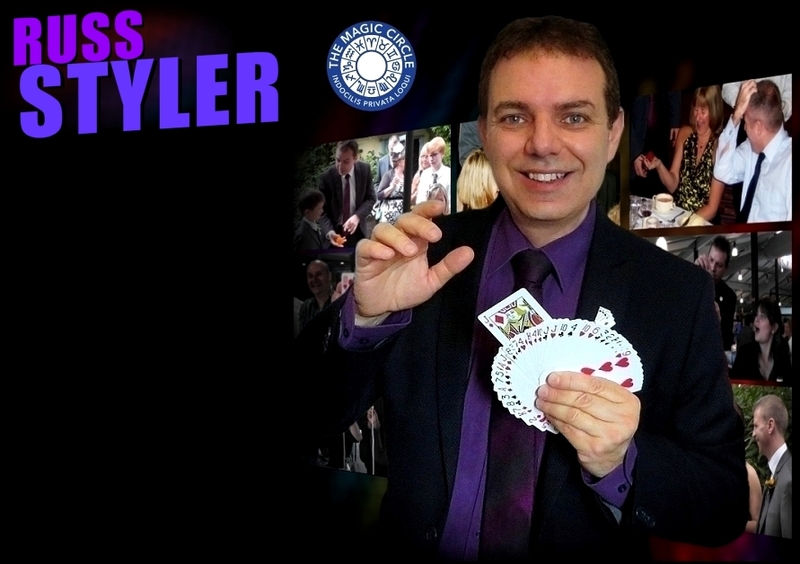 With his combination of amazing sleight-of-hand magic and humour, it's no surprise that Russ Styler continues to be a most popular choice of magician for corporate events, weddings, anniversary and birthday parties etc in Hitchin, the wider Hertfordshire area and across the UK. 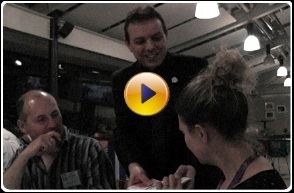 As a full-time professional magician Russ has performed at countless venues over the years which include hotels, manor houses, restaurants, conference centres, golf clubs, vilage halls, - you name it! Russ has also performed at such top venues as The Dorchester and Grosvenor House hotels in London. 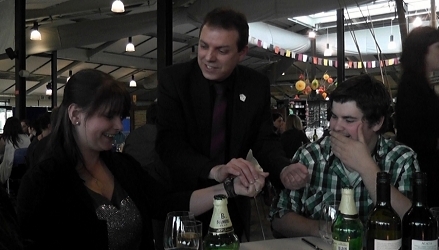 |Russ is also a member of the Magic Circle, The International Brotherhood of magicians and performers union Equity. Call or email Russ now for further information or a quote and maybe Russ will be there to amaze and entertain the guests at your event or party soon! Magician for hire in Hitchin. Close up magician / table magician or show. 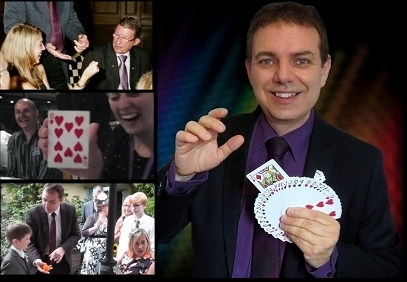 Whether it's for a wedding reception, corporate function, a magician for a special birthday party, anniversary, garden or cocktail party - Hitchin, Herts and UK wide.